Jazz, Funk and Classical brought to a new consciousness on solo electric bass. Liner notes. "...perception stretching demonstrations of what the instrument is truly capable of in the right hands." $0.99	MP3 Single off the album Groundation by Rob Griffith. Jazz, Funk, Classical on solo electric bass (2:30). $0.99	MP3 Single off the album Groundation by Rob Griffith. Jazz, Funk, Classical on solo electric bass (7:01). $0.99	MP3 Single off the album Groundation by Rob Griffith. Jazz, Funk, Classical on solo electric bass (2:20). 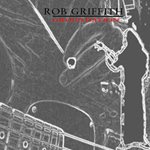 $0.99	MP3 Single off the album Groundation by Rob Griffith. Jazz, Funk, Classical on solo electric bass (8:40). $0.99	MP3 Single off the album Groundation by Rob Griffith. Jazz, Funk, Classical on solo electric bass (2:05). $0.99	MP3 Single off the album Groundation by Rob Griffith. Jazz, Funk, Classical on solo electric bass (6:16). $0.99	MP3 Single off the album Groundation by Rob Griffith. Jazz, Funk, Classical on solo electric bass (7:00). $0.99	MP3 Single off the album Groundation by Rob Griffith. Jazz, Funk, Classical on solo electric bass (5:31). $0.99	MP3 Single off the album Groundation by Rob Griffith. Jazz, Funk, Classical on solo electric bass (5:50). $0.99	MP3 Single off the album Groundation by Rob Griffith. Jazz, Funk, Classical on solo electric bass (5:30). $0.99	MP3 Single off the album Groundation by Rob Griffith. Jazz, Funk, Classical on solo electric bass (6:17). $0.99	MP3 Single off the album Groundation by Rob Griffith. Jazz, Funk, Classical on solo electric bass (7:16). $0.99	MP3 Single off the album Groundation by Rob Griffith. Jazz, Funk, Classical on solo electric bass (8:26).